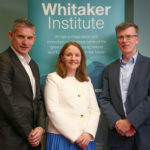 Alan Ahearne is Director of the Whitaker Institute and Professor of Economics and at the National University of Ireland, Galway. He a member of the Commission (that is, the Board of Directors) of the Central Bank of Ireland, Chairman of the Banks Budget and Remuneration Committee, and a member of the Risk Committee.He is Chairman of the Department of Finance and ESRI Joint Research Programme on the Macroeconomy and Taxation. He is a member of the Independent Review Group set up by the Minister for Health, Simon Harris in December 2017 to examine the removal of private practice from public acute hospitals. He has served as Adviser to the IMF and as a Research Fellow at Bruegel, the influential Brussels-based think tank. He holds an honorary appointment at the Darden Graduate School of Business Administration at the University of Virginia. Alan served as Special Adviser to Irelands former Minister for Finance Brian Lenihan from 2009 to 2011. In this role, he advised the Minister on economic, budgetary and financial policy in responding to the economic and financial crisis. Alan obtained his PhD from Carnegie Mellon University (in Pittsburgh) in 1998 and subsequently joined the Federal Reserve Board in Washington DC, where he worked for seven years as a Senior Economist. At the Fed, he advised Alan Greenspan, Ben Bernanke and other Fed Governors on developments in the global economy. He was the principal economist at the Fed covering the Japanese and Chinese economies. Selected Publications:"Making the Best of It: Lessons from Ireland's Experience in an EU/IMF Program", in The Cyprus Bail-In: Policy Lessons from the Cyprus Economic Crisis, edited by A. Michaelides and A. Orphanides, 2016. "Structural Policies in IMF Surveillance" (with Paul Acquah and Paul Collier), Background Study prepared for the IMF's 2014 Triennial Surveillance Review, July 2014. "The Debt Challenge in Europe" (with Guntram Wolff), in Transatlantic Economic Challenges, edited by Jacob Funk Kirkegaard, Nicolas Véron and Guntram Wolff, European Commission, 2012. "Coming of Age: Report on the Euro Area", (with Philippe Aghion, Marek Belka, Jean Pisani-Ferry, Jürgen von Hagen, Lars Heikensten, and André Sapir), 2008. Europes External Monetary and Financial Relations since the Euro: A Review and a Proposal (with Barry Eichengreen) in "Fragmented Power: Europe and the Global Economy" Edited by André Sapir, July 2007. "Information Costs and Home Bias: An Analysis of U.S. Holdings of Foreign Equities" (with William Griever and Frank Warnock), Journal of International Economics, vol. 62, (March 2004) pp. 313-336. Dr. Ahearne's areas of expertise are macroeconomics and international finance. His research includes studies on property markets in Ireland and other industrial countries; global current account imbalances and exchange rates; and the economic performance of the euro area. In addition to being published in top academic journals, his research has featured in The Economist, Financial Times, Wall Street Journal, New York Times, Irish Times, and Sunday Business Post. (2008) Coming of Age: Report on the Euro Area. (2014) Structural Policies in IMF Surveillance. (2014) The Next Steps - Restoring Financial Sustainability to the Irish Hotel Industry. (2012) Time to Invest: Proposals to Restore Financial Sustainability to the Irish Hotel Industry. (2007) European and Asian Perspectives on Global Imbalances. (2006) Condoms and House Prices: the Irish Experience. IEA Annual Conference. (2006) Glying Geese or Sitting Ducks: China's Impact on the Trading Fortunes of other Asian Economies. International Finance Discussion Paper. (2005) Monetary Policy and House Prices: A Cross-Country Study. International Finance Discussion Papers 841. Washington: Board of Governors of the Federal Reserve System. (2008) A Tail of Two Countries. (2007) Global Imbalances: Time for Action. (2006) The Euro Only for the Agile. (2005) Global Current Account Imbalances: How to Manage the Risk for Europe. (2005) Preventing Deflation: Lessons from Japan's Experience in the 1990s. International Finance Discussion Papers 729. Washington: Board of Governors of the Federal Reserve System. Masters in International Finance: International Finance, International Macroeconomics & International Monetary Economics. Executive MBA: Irish Economic Policy.